It’s common to put on a little weight in the winter and then want to lose it in the summer! Finding a comfortable defined physique in the summer, that is easy to maintain and feel comfortable with is easily reachable with these tips! I know many of you are looking to shred fat, bring those abs to the surface and show off your gains at this point! These 7 tips are great for overall health reasons, some clothing you really like and want to fit into, or maybe just to feel good within yourself. There are many reasons why we train hard and when it comes time to trim down, most of us take too many drastic measures to cut the fat off. So, I thought I would share with you, my top 8 tips to help you trim that layer of body fat as fast and as safe as possible. Most people forget or neglect to start their cutting phase until it’s too late. Then they realise they don’t have enough time, start panicking and employ drastic measures to drop weight fast. This never works, and in most cases you will lose a lot of muscle you have been building during your bulking season. In fact, you might even end up being less lean and less defined because you are depriving yourself of food and water to “lose weight” and your body just isn’t getting the hydration, vitamins, minerals and macros it needs for your muscles to look healthy and full. In fact, RIGHT NOW is the time to start cutting. April is over and you’re left with 2 – 3 months to get it done. If you have been LEAN BULKING, you should have only gained about 10 – 15 pounds max of fat during your bulk and setting a goal to trim 2 – 4 pounds of fat a month is realistic, especially if you apply the following tips I’m about to share! At the end of the day if you eat healthy, you don’t need a detox and a few weeks of drinking fluids only, will of course make you lose weight because you are going to excrete it out. Low carb diets and ketogenic diets can be excellent for dropping weight fast too. These are just drastic and desperate measures to sell subscriptions or gain views and they are bound to fail. First of all, a low carb or ketogenic diet isn’t any better for losing weight than any other calorie deficit diet and secondly, in many cases they can even be bad for your health. You have to understand that losing weight comes down to calories in versus calories out. As long as you’re in a caloric deficit (which means you eat less calories than your body needs), you will lose weight, regardless of the macronutrient ratios. A calorie deficit diet will help you lose weight. But that doesn’t mean you can eat whatever junk you want. Everything is about eating in moderation and balancing the types of food equally. Also, micronutrients such as vitamins and minerals are extremely vital when it comes to losing weight. So make sure that whatever calorie deficit diet you’re following is nutritious and healthy and packed with quality foods. Since you are going to lose weight while in a calorie deficit the only thing that’s going to happen if you follow a low-carb diet is you may not have enough energy to complete your workouts or even get through your day at first, but then your body will adjust. Furthermore, carbs are essential for our overall health, and severely limiting them for a long period of time can bring about serious health consequences. Our brain’s and muscles’ primary fuel is glucose (carbs), so we can’t survive without carbs. All you have to do is stick to a simple calorie deficit diet with a deficit of about 250-500 calories per day and that should be more than enough to get you to lose about 2 – 4 lbs per month without restricting your performance in the gym and in your day-to-day life. While low-carb diets for an extended period of time can be detrimental to your health, it might be smart to limit your carb intake on days that you don’t work out and your body doesn’t require too much energy. So if you are following a 250 calorie deficit diet on your workout days, you can bump that deficit up to 400 calories per day and adjust your macros so that your total carbs do not exceed 100 – 150 grams. Obviously, you will have to increase protein and fats, since your carbs will be considerably lower. 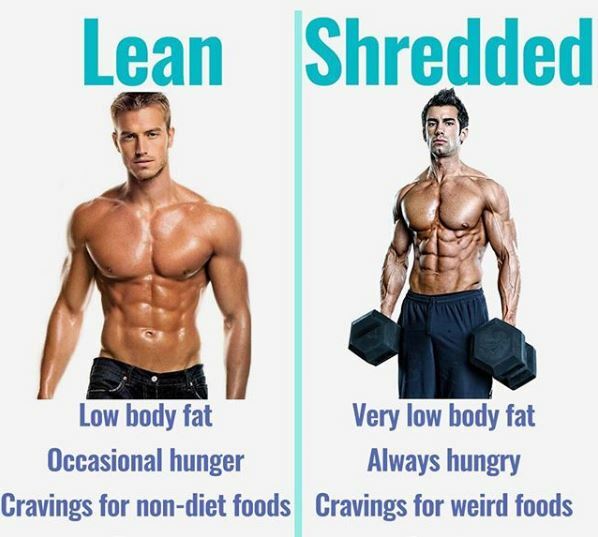 This is a way to manipulate your macros when trying to shred fat, and it has no negative impact to your health and performance because you are only dropping calories on your rest days. This is also how you accomplish lean gains. For example, on workout days I eat around 250+ grams of carbs and on rest days I drop it down to about 130 grams. If I’m not working out, I am not burning as many calories so I don’t need as many carbs as workout days. This is a tip that I found to work particularly well when I’m still hungry. Combining leafy greens, like spinach with a zero calorie drink, tricks my body into feeling full without actually increasing my calories. The greens are around 10 calories or so but that’s really nothing to worry about and at the same time, I satisfy my sweet tooth craving with the taste. Plus, if you consider the micronutrients gain from the leafy greens and the 10 grams of BCAAs from the amino-drink, it looks like this has turned out to be an amazing strategy to combat cravings! When you’re cutting, there’s really no point in dropping fat if you’re wasting muscle mass at the same time. The best way to hold on to as much muscle mass as possible while cutting is by losing fat gradually and trying to maintain your strength. At the same time, you want to maximise the calorie-burning process, especially during your workouts. Therefore, while 8 sets of 3 repetitions may be a great way to keep your strength, it doesn’t help you burn as many calories as you possibly could. 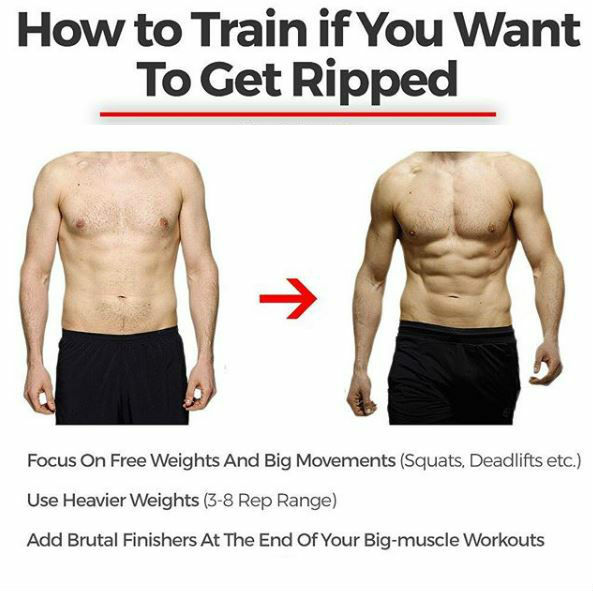 If you want to shred fat, but not sacrifice your strength gains entirely, you should focus primarily on compound movements and employ some techniques to make your workouts more effective at building strength and burning more calories. Drop sets. As soon as you’re done with a heavy 8 – rep set of squats, immediately drop the weight by about 40% and grind out 8 more reps. Then drop the weight one more time by another 50% and rep until failure. This method of training will burn an immense amount of calories, and bring in the benefits of high volume training to your workout. Super sets. Instead of training biceps first and triceps later, why not combine the two by using supersets? Choose 3 exercises for your biceps and 3 for your triceps and pair them together as supersets instead of taking long rest periods in between your sets like you would if you were doing just one muscle group at a time. Not only is this going to save you a lot of time but it’s also very energy-demanding. Cheat and recover. Increase the weight and utilise cheat reps to overload on the eccentric portion of your reps for 8 repetitions. Then, immediately drop the weight, and perform 8 more clean reps with proper form on the concentric and eccentric portions of the movement. High volume and heavy negative overloading. HIIT stands for High Intensity Interval Training. Jogging for 40 or 60 minutes is not the most effective way to burn fat and it takes up a lot of precious time you could be allocating toward your weight training. In fact, you can burn the same number of calories or more with HIIT and not have to worry about muscle breakdown. Now there are many ways to include HIIT into your workouts and the simplest one is probably the treadmill. For example, all you have to do is jog for 60 seconds, then sprint as fast as you can for 30 seconds and repeat that cycle for 15 to 20 minutes max. Another way to implement HIIT into your workouts is by using different exercises in a circuit. Pick 4 or 5 exercises, preferably multi-joint movements, and perform each exercise for 30 seconds without taking any break in between. Then, as soon as you complete one round, rest for 60 seconds and repeat the circuit for 3 to 4 more rounds. This way you’re essentially performing a full body workout while building up your muscle endurance and burning an insane amount of calories at the same time and all in just under 15 minutes. Try to start with at least 2 or 3 rounds if you’re trying this method of training for the first time. For the more advanced athlete, go for 5 – 6 rounds. Just about everything in life has its ups and downs, its breakthroughs and its setbacks. Always measure your progress but don’t lose motivation if you don’t make progress for a few weeks. It’s natural to plateau sometimes. If this happens, just change your macros or workouts or maybe just push yourselves harder. Getting shredded is not difficult, it just requires persistence and patience. Having the right support can also help when it comes to staying motivated. Find someone who has the same or similar goals as you, someone who can support and motivate you and vice versa. Previous ArticleSHOULD WEIGHT-LIFTING REPETITIONS BE FAST OR SLOW? How to Lose 40 Pounds in 3 Months?